By Wm. 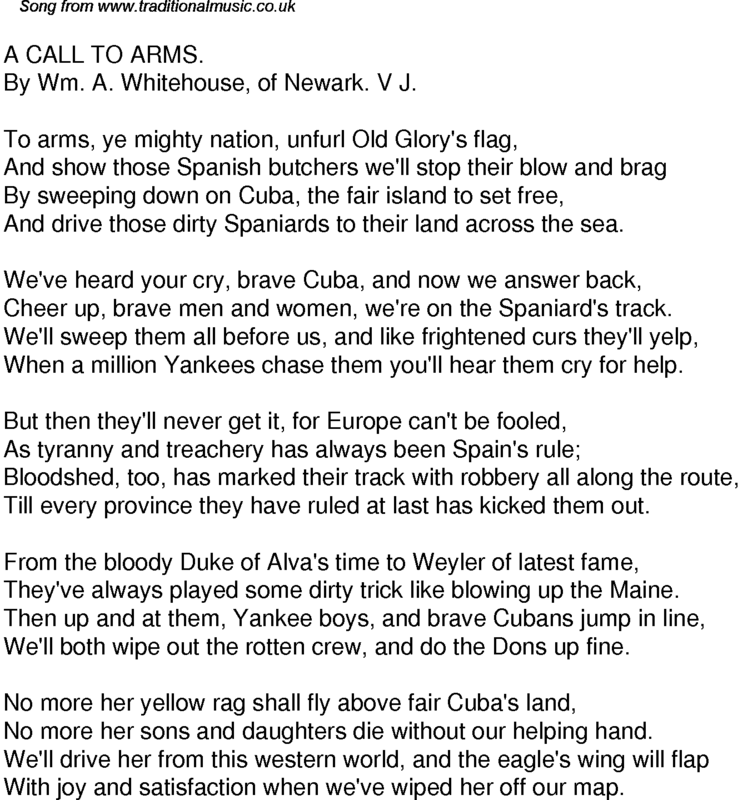 A. Whitehouse, of Newark. V J. And drive those dirty Spaniards to their land across the sea. Cheer up, brave men and women, we're on the Spaniard's track. When a million Yankees chase them you'll hear them cry for help. Till every province they have ruled at last has kicked them out. They've always played some dirty trick like blowing up the Maine. We'll both wipe out the rotten crew, and do the Dons up fine. No more her sons and daughters die without our helping hand. With joy and satisfaction when we've wiped her off our map.